Successfully saved Skillet Salisbury Steak to your Calendar. You can also save the ingredients to your Grocery List. 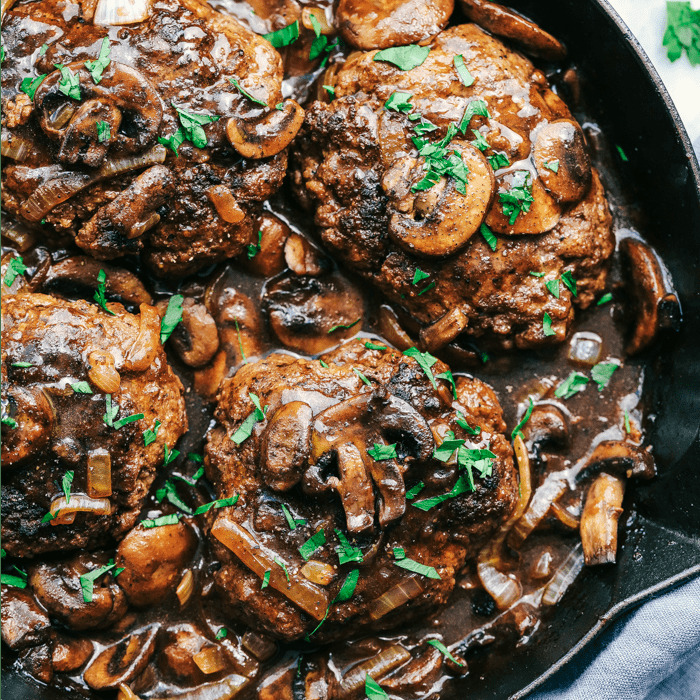 Skillet Salisbury Steak is a classic meal with a mouthwatering tender beef patty drowning in a rich homemade brown gravy. Serve it over some mashed potatoes and peas and you have yourself a winner!